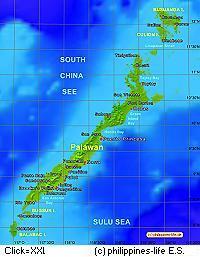 The island Palawan has in length about 425 km. 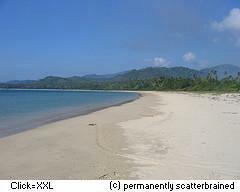 The width amounts to about 40 km, at the narrowest place, however, only 8.5 km. 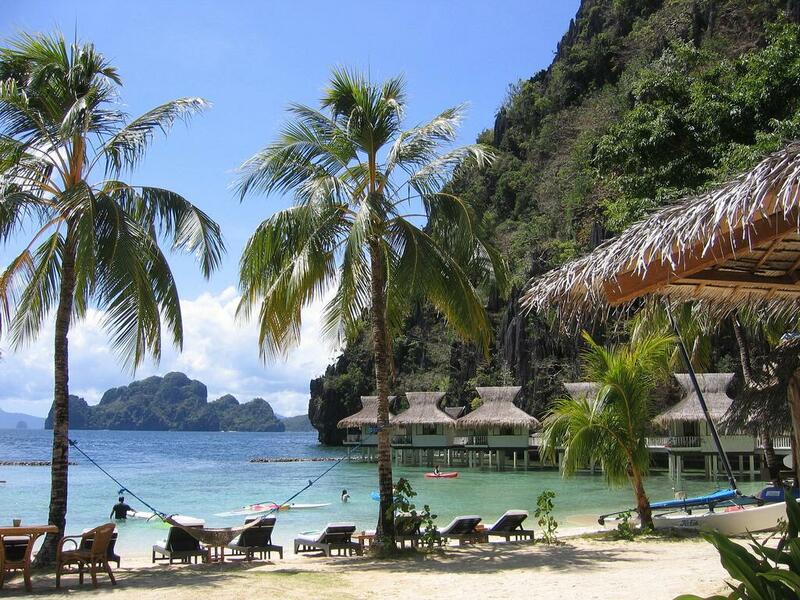 Palawan is the most thinly settled island of the Philippines with only approx. 800,000 inhabitants. Along the whole island runs a mountain range whose highest mountain is the Mantalingajan with a height of 2.085 m about the sea leve. 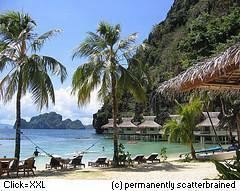 Palawan is the island of the Philippines which could preserve her naturalness best of all. Here numerous animal species and botanical species which are received only in the almost untouched rain forests of this island are found. 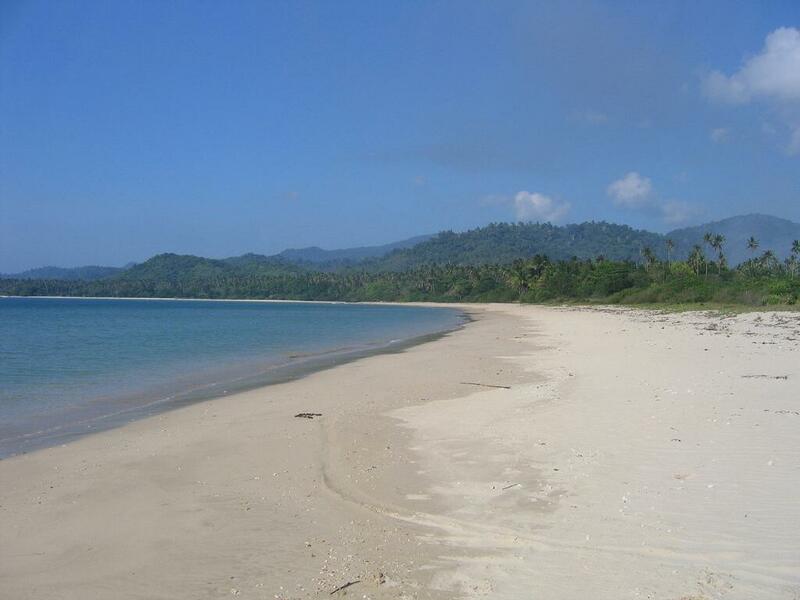 It was for the nature on Palawan a big advantage that the island is settled only very thinly and the deforestation could be stopped already in 1993 and that big areas of the wood were explained to nature reserves. In the agriculture on Palawan rice, wheat, bananas, cashews, peanuts, coconuts fruit and vegetables are grown. 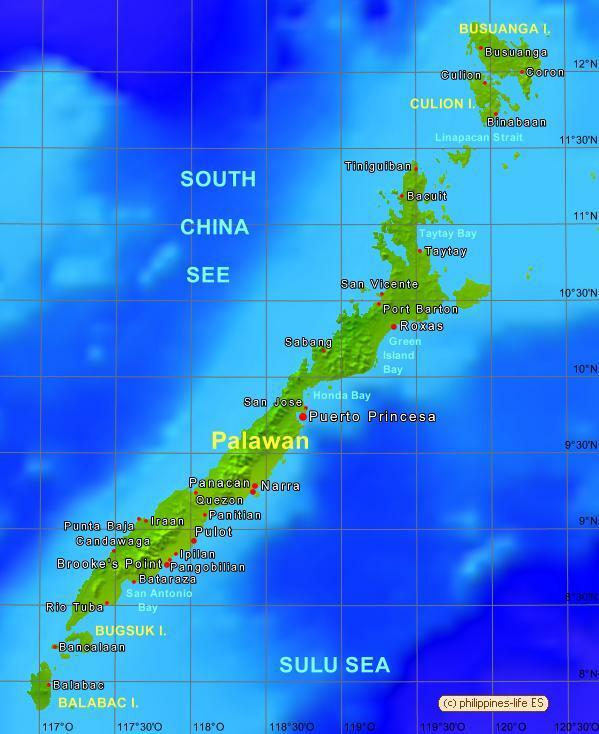 On Palawan are still pristine reserves of various precious minerals like gold and other valuable metals, quartz, marble, coal, and many other industrial raw materials. Palawan is touristically developed still a little, however, has to offer to every visitor a lot like picturesquely situated Beach Resorts with comfortable rest, long sandy beaches and unique nature. Foreign visitors are taken up very friendly. They can go here by boat through mangrove areas, visit subterranean caves and dive for wrecks of warships from the Second World War. On the island of St Paul is the longest subterranean river of the world which is accessible by boat and is a World Heritage Site by UNESCO since 1999. Puerto Princesa is the capital of Palawan with approx. 220,000 inhabitants. Visitors with a slope to adventures and readiness to harder strain can make interesting expeditions in higher mountain regions. They can explore there ethnic tribes which have maintained the original life-style of her forefathers in untouched nature. 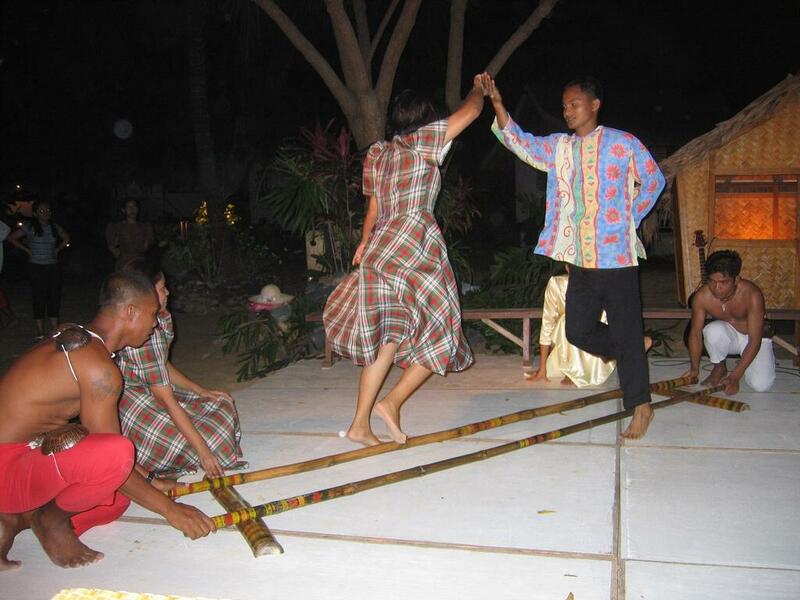 A speciality is an old folklore dance with the name Tinikling on the Philippines. Two people move two long bamboo poles which are knocked together in the rhythm of the music alternately and are hit on the ground. The dancers hop barefooted after firmly given step results in the free space between the poles and about that. If the poles are knocked together, no more foot may be in between. The speed of the expiries is raised together with the music constantly and, besides, dancers and spectators get in big enthusiasm. 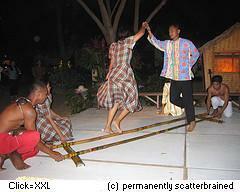 The name Tinikling has been derived from the peculiar gait of a bird with the name Tikling.